Contact an AutoSysCon representative for pricing and delivery. We Now Accept Major Credit Cards Via PayPal! The Chem Add System is built inside a 8' x 20' Aluminum Enclosed Trailer The power for the system is a self contained 5.5KW Diesel generator. This includes 8 low rate pumps, 8 flow meters, 8 AC Drives to control the 8 pump motors. 4 Stainless Steel Hose Reel, 300' @ 1/2" hose capacity. The trailer is sectioned off into 2 rooms. The forward most room is where the electronics and control system are located. The Forward room has a heat & AC unit along with other creature comfort items. The rear room is where the pump stands and hoses are mounted. There is even a workbench with a stainless steel top and bench vise. The two rooms are separated by full size wall with a large (approximately 3' x 5') Lexan window. We are now taking orders for these units! Contact one of our sales reps to get started configuring yours! This trailer is an open style goose-neck trailer. It holds up to 4 standard sized totes. The unit can be configured to monitor and control up to 8 flow lines. We also offer a wireless remote data monitoring package as well as a wired package. We can build it to your specifications, and even write custom software to monitor and/or control your process. We are taking orders for this unit now! Give us a call or email us, and we can set up a system to meet your needs! With the 100+ temperatures we've been seeing, it's always a good idea to keep your crew safe from overheating! Our Cooling Trailers come in a variety of sizes. from as few as 6 people up to about 20. Give us call and we'll help spec out just what you need! The IZON Software is part of our IZON Suite currently under development. The concept behind the IZON Suite is to allow each component run as a stand-alone product that will seamlessly integrate itself with the other IZON products! The IZON Software can used to display data from the IZON Data Collection Panel. The Data Collection Panel features 4 Red Lion Programmable meters to display readings at the source. The panel is also the receiver of other data to be read and displayed in the IZON Software. The Enclosure is rugged and design to withstand the harsh environment of the Oil Field! 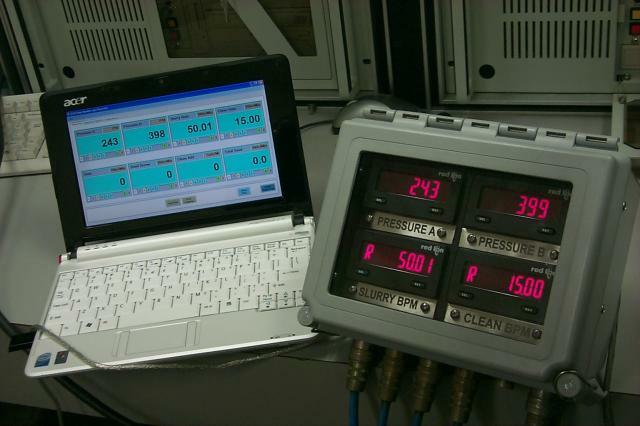 The Data Logger software is a 48 Channel logging and monitoring system. Designed to be used in conjunction with the Base Master. The data received and displayed can be plotted, and printed. Up to 8 data points can assigned for plotting. The Graph can be configured to display various colors to distinguish data signals, and ranges can be individually set. Data Logger is compatible with Windows 7, 8, 10. 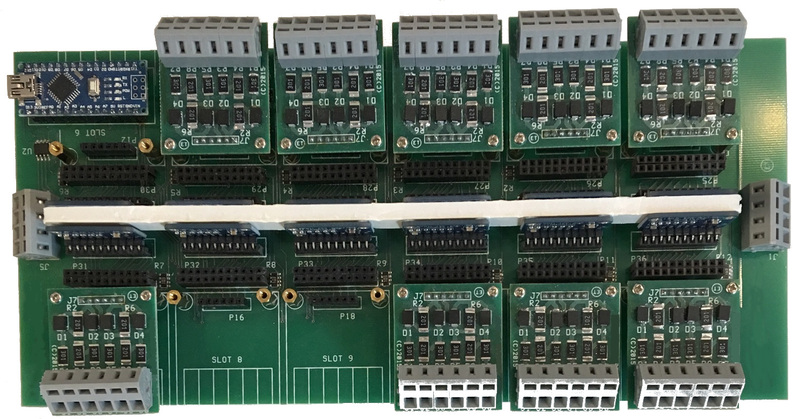 The Base Master can accept up to 12 4-Channel, 16 Bit Analog to Digital converter modules. The system operates on +5 Volts DC, and draws approximately 200 mA. There are a few modules available to accommodate various data signal types. Voltage, Current, Frequency. We can also custom design other types of signal interfaces to meet your needs! This module is the basic input module for Voltage type data inputs. It provides voltage swing protection. Current Inputs and Outputs are the role of this module. 0 to 20mA, or 4 to 20 mA. 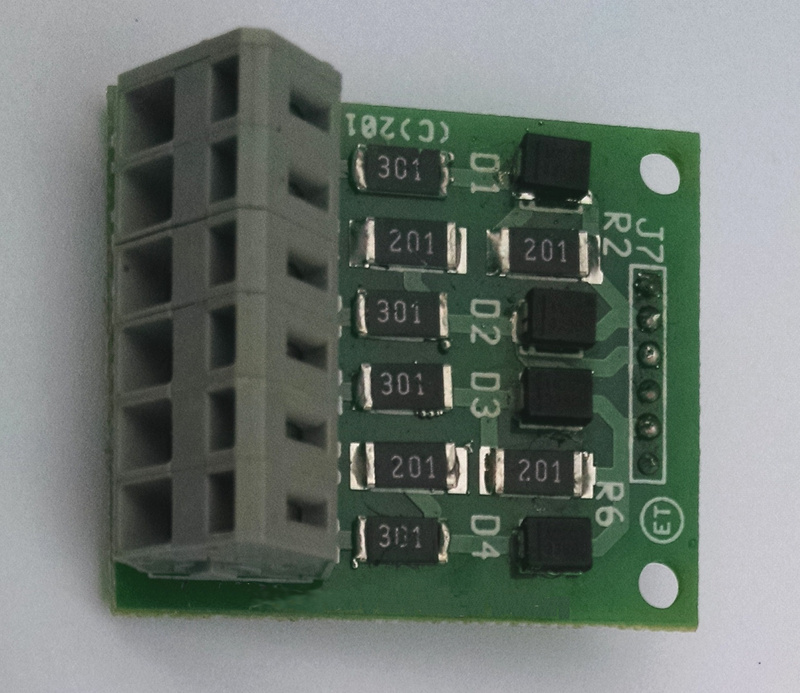 Capacitive inputs can be monitored and used with this module. You can purchase the AutoSysCon Trainer to practice, teach, even test small PLC project ideas. Give one of our representatives a call today!